This weekend will be big for wimpy kids in the Twin Cities. 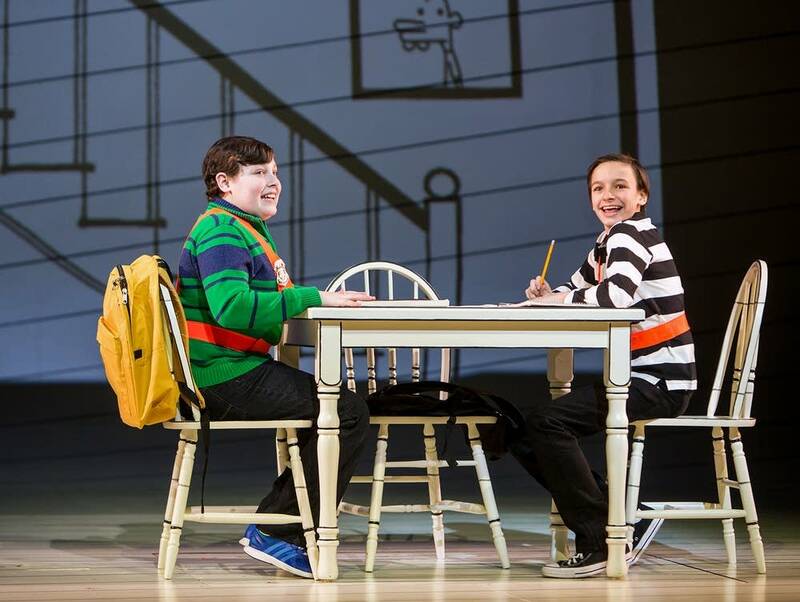 The Children's Theatre Company will present the world premiere of "Diary of a Wimpy Kid: The Musical," an adaptation of the immensely popular series of children's books. "Diary of a Wimpy Kid" follows Greg Heffley, who's suffering the trials of middle school. He draws them, too, in big bold cartoons on lined paper. There are now 10 books in the series and they have sold more than 150 million copies worldwide. 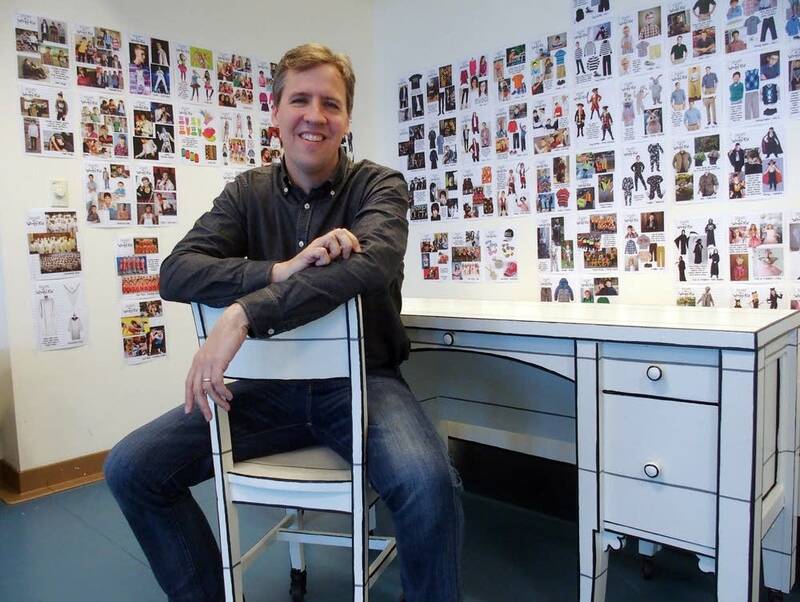 Author Jeff Kinney said the popularity of the books comes from a simple source. "I think it's because the stories are just the stories of childhood," he said. "There's nothing really special about Greg, in a way. He's a lens though which you can see your own life." 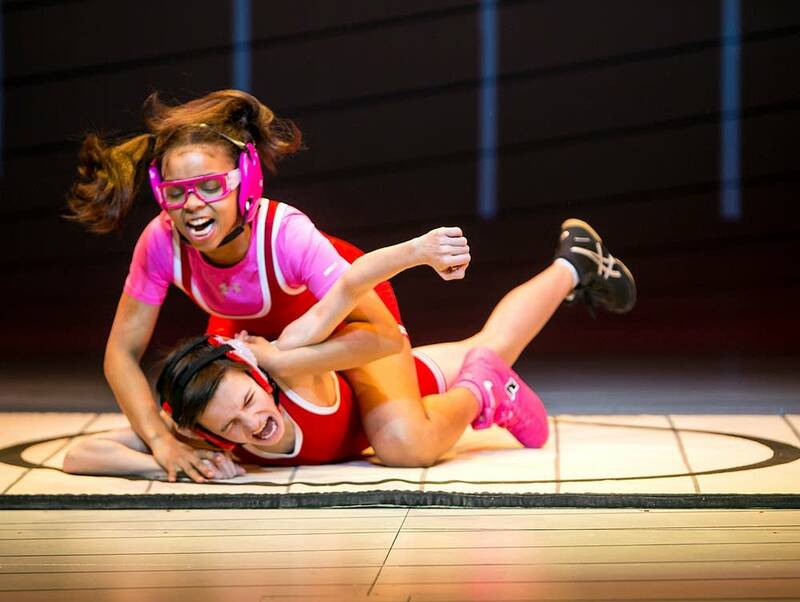 In a rehearsal room at Children's Theatre, the cast ran through a song of pure middle-school angst. "You're stuck in the middle," the chorus sang. "Stuck in the middle, with your backpack and your back against the wall." There have already been three "Wimpy Kid" movies, and work on the fourth is underway. But the musical, Kinney said, has been a very different experience. A live theatrical performance is much more fluid than a book or a movie; it can change once it's been exposed to an audience. He's enjoyed watching the Children's Theatre team of writers, composers, the director and actors take his stories and mold them into a musical. "I love that, when I can say, 'Hey, I started it. That was inspired by me, but someone took it much further and did a better job than I ever could with it," he said. "So that's really rewarding as a writer." Rehearsals began a month ago with a cast of 22, including 18 children. It's one of the biggest shows ever mounted by the CTC, and it has been constantly evolving. Actor David Rosenthal plays Greg's best friend, Rowley. He said the script and the music have changed markedly as the creative team refined the material. "Every day, you get new pages," he said. "And you're like, 'Well, I already memorized this song, but let's just cut it and move on.'" Rosenthal and Ricky Falbo, who plays Greg, both have extensive theater credits. They carry much of the show. Both are fans of the "Wimpy Kid" books. Falbo said the characters are immensely relatable to everyone. "Greg, he's trying to be popular," he said. "He keeps on trying and keeps on failing. Failing and failing. And at the end he starts to realize, 'I don't need to try.'" Director Rachel Rockwell said the show is about "the crazy middle school experience. Every bit of it, and how we laugh at ourselves and how we hopefully survive it and the lessons we take away from it." The show is complicated, she said, and appropriately so. There are 54 scenes, which Rockwell said reflects the pace of life in middle school. "Something is tragic and then it's over," she said. "And then they are elated, then it's over. So it all moves very fast. We want it to track like the mind of an 11- and 12-year-old." The show also tracks the design of the original books. 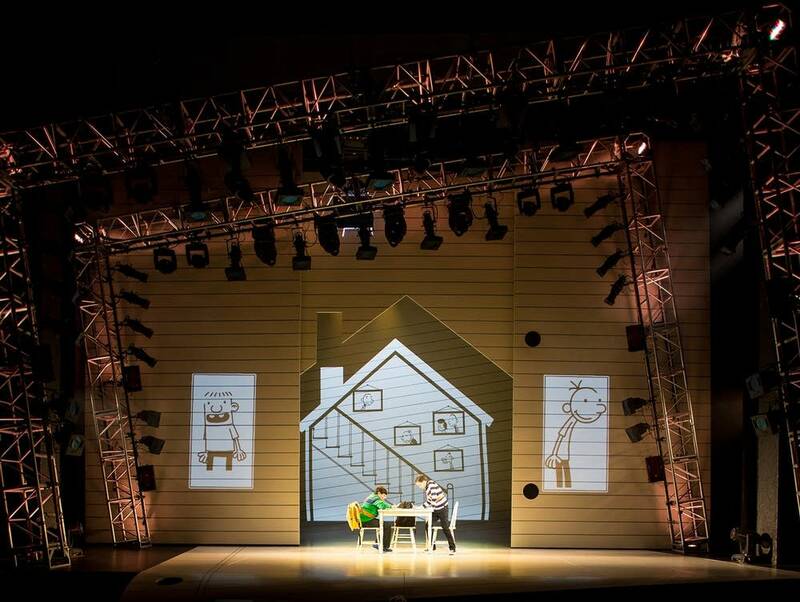 The stage and props all appear to have been drawn on lined paper. Rockwell said the show plays with this element, using video based on Greg's illustrations. "That allows those cartoons to kind of move and change and grow and fill the space in a new way," she said. "Like Greg Heffley is writing a new journal entry every time we go to a new place." Rockwell and the rest of the Children's Theater crew won't talk about future plans for the show, saying they are focusing on making the world premiere a success. But the author, Kinney, knows how he wants it to play out. "I think most people would hope that their play would go on to Broadway and to be successful," he said. "I mean, that would be something." And given that Broadway impressario Kevin McCollum is part of the production team, Kinney may not be the only one looking to bigger things for this "Wimpy Kid."